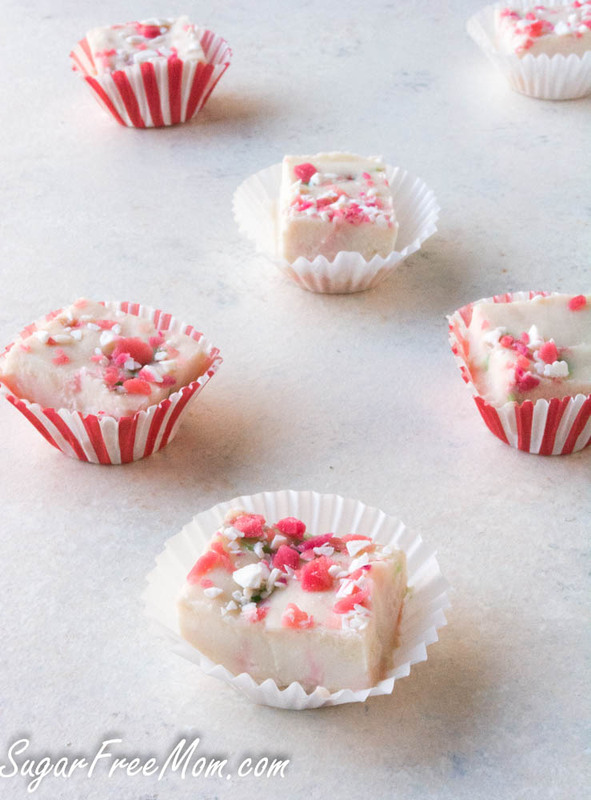 This Low Carb White Chocolate Peppermint Fudge is made without sugar or dairy and is the creamiest, healthiest and most festive fudge for the holiday season! 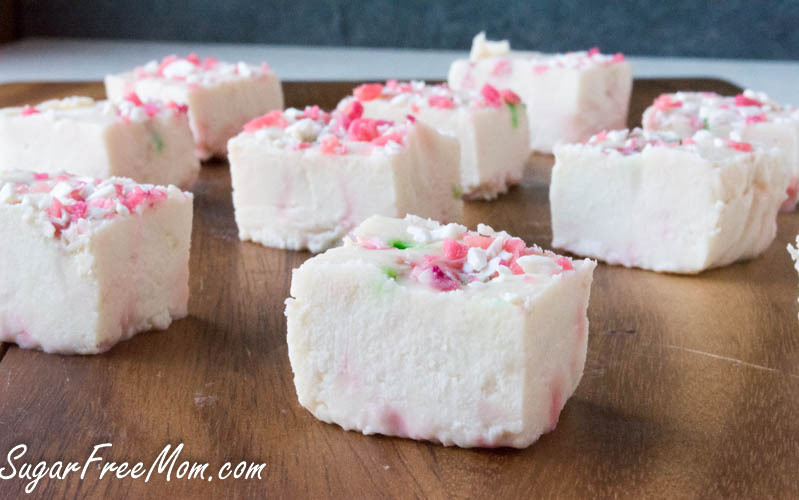 If you happen to be a fudge lover this peppermint fudge will be your next favorite Holiday treat. Believe or not, it’s DAIRY FREE, but oh so creamy! 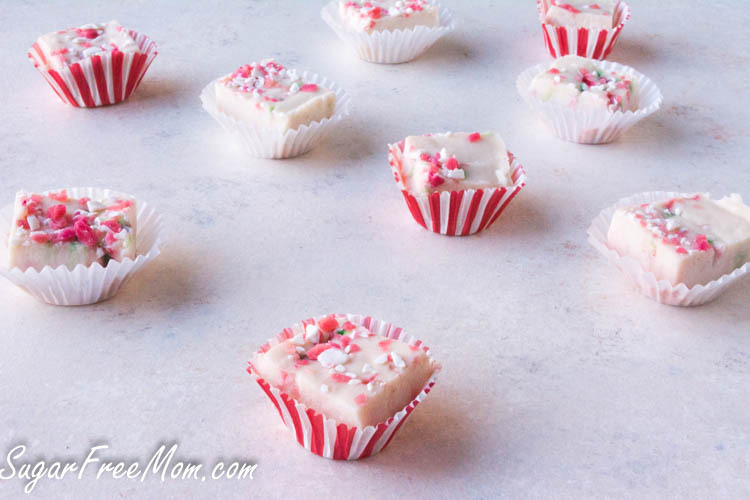 I adapted this recipe from my White Chocolate Fudge recipe I posted last year, changed up just a few ingredients to create this festive fudge for this holiday season! 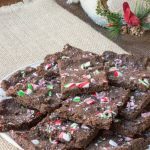 Just a few sprinkles of sugar-free crushed candy canes and you’ve got a pretty easy treat to bring to a friends house or family party for the holidays. 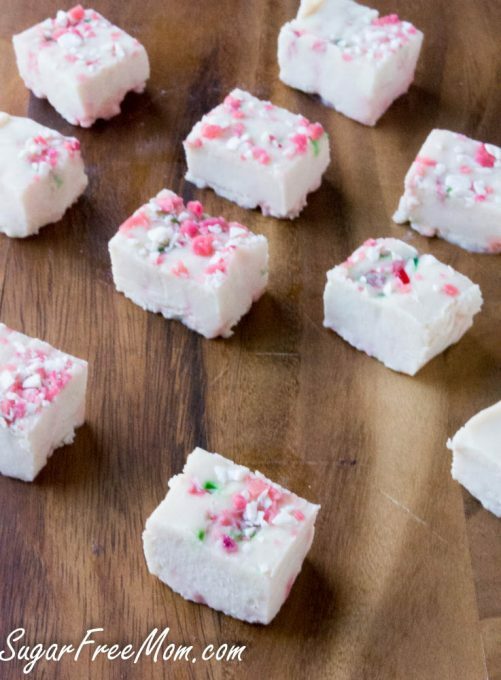 But if you’re not a fan of peppermint just make my white chocolate fudge recipe and add some Christmas colored sprinkles. I think when it comes to enjoying family and friends during the holidays the best thing one can do is prepare ahead. It relieves stress knowing you’ve got things in order, you’ve got a plan, so you can truly enjoy those you love and even dare I say, relax, with them. At least that is my hope. 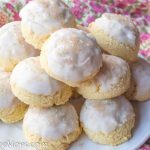 While I love cookies and my favorite is my grandmother’s Pecan Snowballs, easy no bake recipes are honestly my favorite of all. 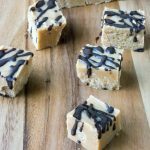 My holiday baking goodies will include this creamy fudge along with Peanut Butter Blossoms, Salted Caramel Snickerdoodles, Salted Caramel Cashew Fudge, Peppermint Patty Bites, and Paleo Pecan Snowballs! I hope your Holidays are filled with wonderful family and friends and making sweet memories together! 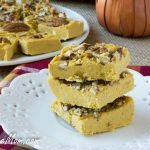 Before leaving a comment regarding any of the ingredients, please use the links within the recipe to check out the ingredients I’ve provided. Thank you! I do not have a replacement suggestion for the protein powder. I found sugar free candy canes online through Amazon. 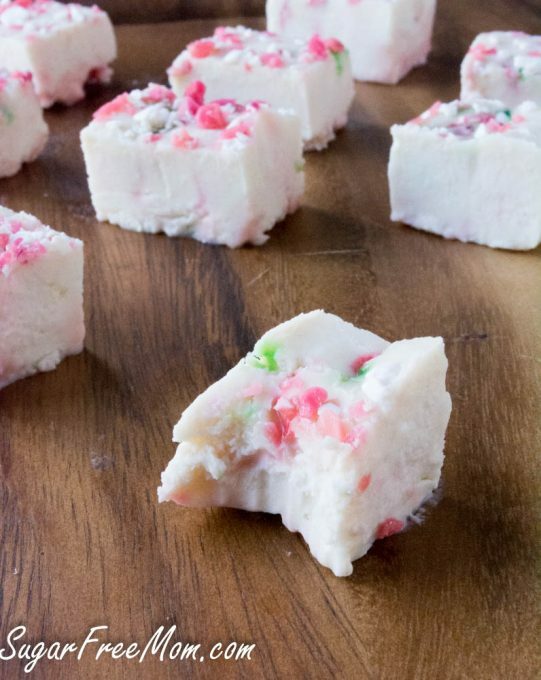 You could also find some sugar free mints and use them instead of candy canes. I highly recommend the peppermint stevia but if you don’t have any I would suggest using vanilla liquid stevia. 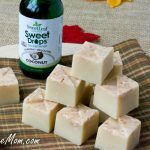 If you don’t use any stevia at all, just add a small amount of your favorite sugar free sweetener equal to at least 1/2 cup sugar, taste and adjust as needed before setting it in the fridge. Melt the cacao butter in a sauce pan over low heat. Stir in the coconut milk, coconut oil and coconut butter. Continue to stir until completely smooth, no lumps. Turn off heat and whisk is protein powder, Swerve, peppermint extract , stevia and salt. Pour mixture into a parchment lined 8 by 8 pan. 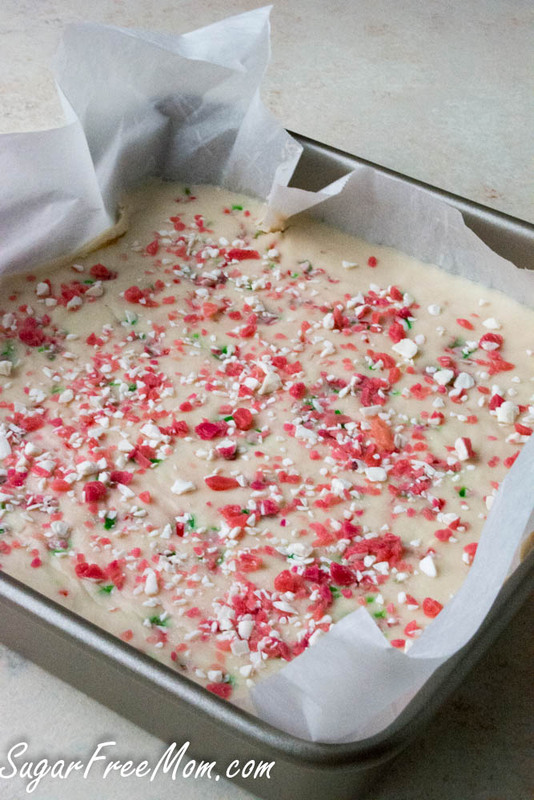 Sprinkle with crushed candy canes if desired. Best if kept refrigerated until ready to serve. This looks so tasty! Love the added protein. How do u make sugar free buttercream frosting and powered sugar? Where do you find sugar free candy canes? I have not been able to find any.. 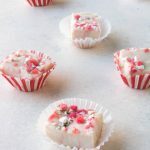 I would love to try these for my daughter that’s very allergic to dairy but LOVES white chocolate. I’ve done similar recipes in the past but she’s not a fan of coconut and finds that things made with coconut milk taste to “coconuty” for her tastes. Do you find that these are more coconuty than mint flavored? 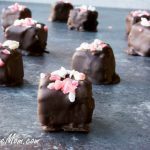 Thinking of maybe adding a little mint essential oil to the fudge batter to make the peppermint overwhelm the coconut flavor. Also, any recommendations for a non dairy protein powder with clean ingredients, I haven’t found any. You could increase the mint flavor but it does still have some coconut flavor to it. Do you change out any ingredients? Just reg stevia and I used a 7×11 pan. Tasted great though.